How to get opacity map for torso on DAZ figure exporting to Iclone6 and some issue around the eys! Exported with 3DXchange6.54Pro! I find some good tutorials how to export Genesis character to iClone! Do I have to do the opacity map myself or does it exist in DAZ Studio 4.10! Check this image about the eyes and also the skin is visual through the dress! and it looked ok! 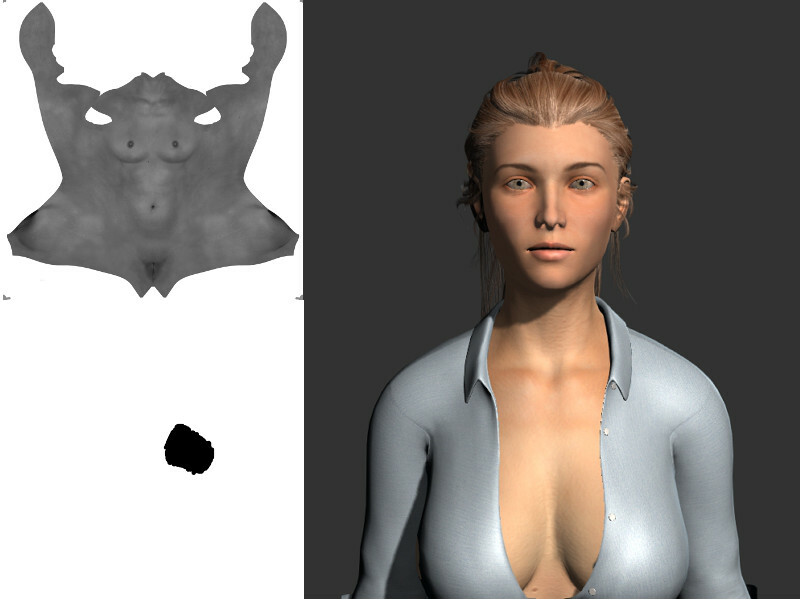 on the left above is the Torso Map and below that is my "Opacity" Map I created! Just some black colour over the area there the problem was!